After what seems like an eternity, horror western punks Ghoultown finally get a vinyl release. Originally released in 2008,Life After Sundown, courtesy of Devils Brew Productions , is 12 tracks of spooky western tales told through the onslaught of that classic western country meets punk gothabilly sound that Ghoultown has perfected over the years. One of the most interesting things about this album,out on July 31, is the vinyl releases themselves. Released on 3 extremely limited different colored vinyl versions. The most exciting being the colored vinyl/obi strip edition.Not only do all Obi Edition orders come with a 4×4 full color embroidered patch of the cover art, a random inserted mystery item will be hidden behind 3 of the Obi strips. The 3 people lucky enough to receive the copies with the hidden item will not only have their money REFUNDED, they will receive a FREE copy of the colored vinyl Obi Edition of Devil’s Brew Productions’ last release, The Big Bad-See You In The Shadows. That’s 2 awesome records FOR FREE!! 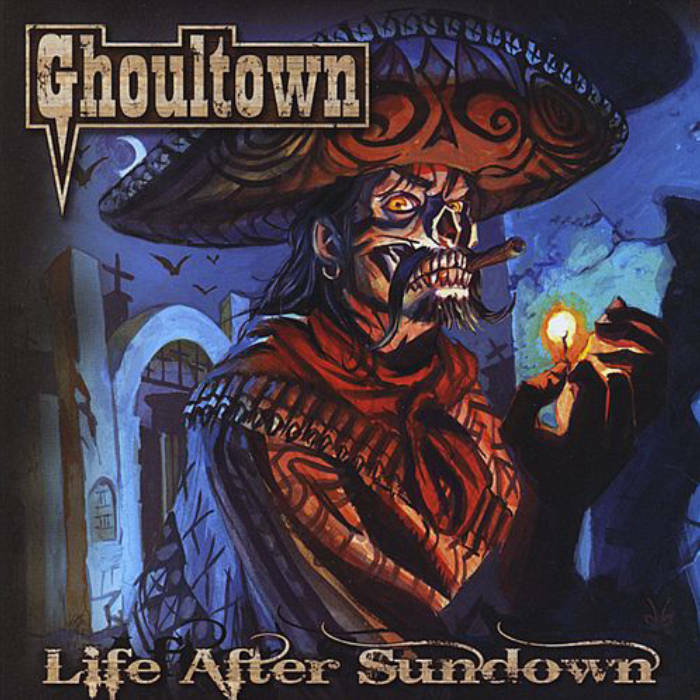 And while Life After Sundown doesn’t mark Ghoultown’s first time on vinyl, it DOES mark their first full length album on vinyl. Ghoultown’s albums are sometimes a little hard to come by, so you don’t wanna miss out on this. And if you just can’t wait until July 31, then make sure the WiFi in your crypt is working and head on over to Devils Brew Productions and grab you one of the extremely limited soon to be ultra rare Test Press copies with a special edition sleeve.